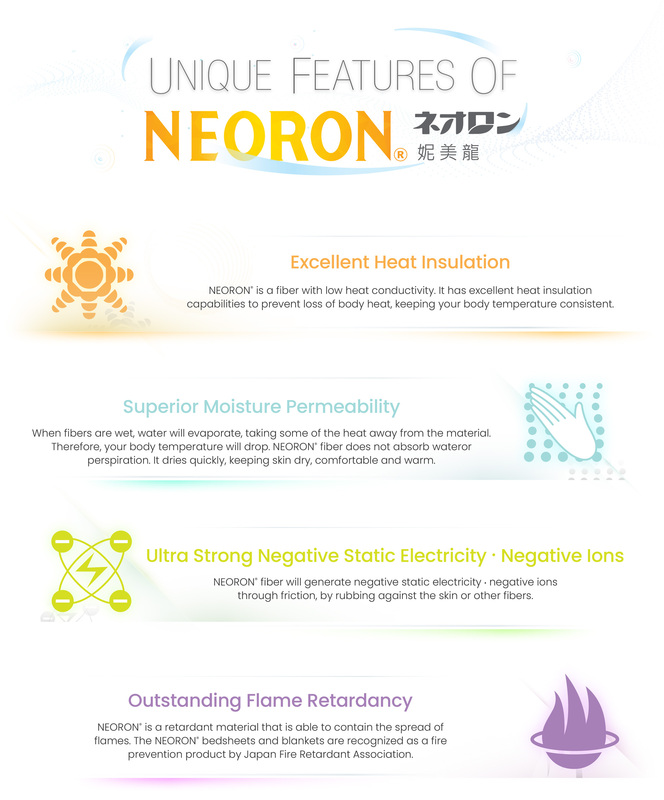 The new fiber “NEORON” was invented exclusively for Nefful by Teiken Limited. Both NEFFUL and TEIKEN have put forth full devotion towards the innovation of Neoron’s research and development. All our efforts have been focused on implementing Neoron into production for 2014. The new technology and research invested has suggested that Neoron creates better material blends for better products! Neoron fiber is made from most of the same materials as Teviron and retains all of its features. 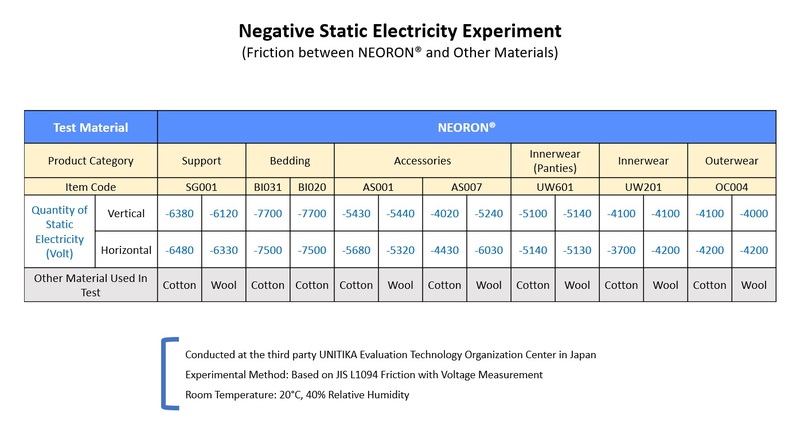 NEORON fiber retains all the same features as TEVIRON: which are Superb Heat Insulation, Superior Moisture Permeability, Negative Static Electricity and Excellent Flame Retardancy. Teviron is Nefful’s first generation fiber material. Neoron is our second generation fiber which was jointly developed by Teiken and Nefful.